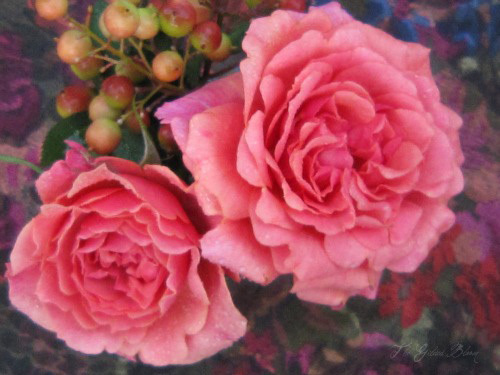 Hello Everyone- Miniature roses have always captured my heart with their sweet scent and small elegant blooms. During October they are most lovely in our area with the weather cooling and the arid summer dryness coming to an end. This pink variety is my latest acquisition and has already found a home in our yard. Although miniature roses are often potted for display indoors, they are beautiful when planted outdoors and will last years if pruned and cared for correctly. I have learned the trick to keeping them lovely for the long term is to deadhead the spent blossoms regularly, clipping down to the first branch with five leaves. If you look carefully, you will notice that the branches nearest the bloom do not have five leaves. Also, make sure to trim away dead leaves and branches and remove them. Roses should be kept moist but need to have adequate air circulation, as spots will develop on the foliage from soggy conditions. 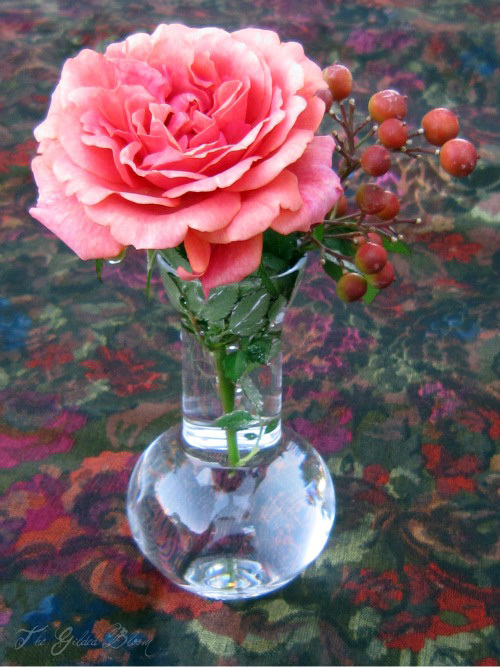 These roses are hardy, and can be clipped all the way back if necessary before the fall or spring growth season. This will provide fresh new foliage and beautiful flowers. I just used this technique with our two-year-old plants that were looking withered and dry, wondering all the while if I was killing them or making them healthy again. Good news- they are back and gorgeous as ever!